In a world of safe spaces, trigger warnings and microaggressions, perhaps the most controversial recent addition to the lexicon has been “cultural appropriation”: wearing a sombrero is evidently up there with the N-word in the eyes of some. We’re fascinated by the idea that producers could try to drum up support for Honey G by tapping a backlash against political correctness, an aspect of the zeitgeist which arguably helps to explain both Brexit and the initially long-odds novelty candidate in the US election surprisingly making it to the final. Showing Honey G getting support from racially mixed schoolkids was producers’ clear, if implicit, response to the criticism in her VT this week. We also loved 360’s theory above that the unfathomably Japanese-themed staging for Saara was a deliberate attempt on the show’s part to widen the “cultural appropriation” conversation from Honey G. If so, that’s some trolling, and it’s certainly been picked up in the press. Let’s recall that the live shows started with Saara being called “Zara” from “abroad” by her Brexit-supporting mentor, which left a sour taste. This week Saara’s VT credited tolerant British X Factor viewers for teaching Finns that it’s okay to be different. Sometimes you just have to admire the show’s chutzpah. We at Sofabet have checked our privilege and we’ll leave it to Lily Allen and 50 Cent to pass judgement on the offensiveness or otherwise of Honey G’s schtick. The question for betting purposes is what Middle England will make of it. Imagine a VT of lovely, cosmopolitan Saara – who speaks a bit of Japanese, by the way – being confused to be accused of racism on Twitter for wearing a silly wig. Now imagine a VT featuring Lily Allen-esque “offensive” headlines, Honey G wiping a tear from her sunglasses or even – would they go there? – Anna from her eye, and then a Skype with a supportive 50 Cent. We imagine ITV viewers would sympathise with Honey G, much as GOP primary voters were attracted to Donny T. And while we still very much doubt that producers would want Honey G to win the competition, we reckon they’d love to get her to the final without needing a sing-off save if possible. Just imagine the media speculation about whether voters would finally come to their senses. Anyone unfamiliar with the Insecure Jesy VT should watch it. It’s a masterclass, and it’s what set Little Mix on their way in 2011. We see Jesy in tears about people online saying mean things about her weight, and saying she knows she’s not as slim as the other girls – and Jade reassuring her that she’s pretty, and giving her a hug. There were indeed superficial similarities in 4oD’s VT this week: they read mean things about themselves online, and there was a tear (though fewer than with Jesy) and a reference to insecurity. But there were a few differences. First of all, we’d just seen Ryan also reading mean things about himself in his VT, so the emotional impact was somewhat lessened. Then there was the intrinsically comical nature of the second comment they read out: “You guys are terrible, you sound like a bunch of cats being strangled”. As Martin said above, it was as if scripted by Ricky Gervais with the intention of evoking a guilty laugh. It just goes to show that, while you’re competing on this show, perhaps ignorance is bliss. It’s also significant that the criticism was of their singing and performing ability, not their weight or looks. Harsh as the phrasing was, it’s also fair game in a way that the Jesy criticism wasn’t – if you go on one of these shows, you’re kind of accepting that the public are going to sit in judgement of your vocals and entertainment value. And it meant fewer girls will have shared this experience. Very many potential Little Mix voters will have empathised with Jesy’s self-doubt about her weight and attractiveness. Not many potential 4oD voters will have had their own singing ability harshly critiqued. The criticism was also levelled at all four of them – that meant there was no opportunity for rebuttal, as with Jade and Jesy. Instead we saw them say “it makes you question everything”, as if implicitly accepting that maybe the critics have a point. It’s an article of faith on this site that criticism that seems unfair motivates sympathy and therefore votes, whereas criticism that seems fair doesn’t. It’s trickier to interpret praise from the judges, but we think you can often distinguish vote-motivating praise from non-vote-motivating praise. 4oD this week are a good case study. Let’s look at what the judges said. 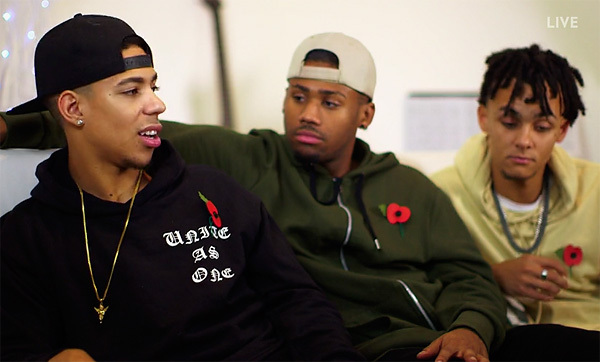 Note that all three other judges initially directed praise at Louis for the song choice, and Simon concluded with it, which had the effect of diluting the praise for the group themselves. Contrast Simon’s later comments to 5AM: “everything felt like it came from you tonight”. A standing ovation. That first look at the judges after a performance is always revealing. Are they standing? Are they applauding enthusiastically, or dutifully, or not at all? Are they looking delighted or bored? Here all four were applauding, but firmly seated. Explicit vote shoutout. Nobody said anything like “I want people to vote for you”, or “I really hope the public get behind you this week, you deserve it”. Longevity shoutout. Nobody said anything like “the show wouldn’t be the same without you”, or “I can see you in the final”, or “you’ve become the dark horse of this competition”. Comparison to other acts. Simon said “the best performance of the live shows”, but viewers will surely have understood from the context that he meant “your best performance”. Praise feels less meaningful when the comparison is to the act’s previous performances, rather than to their competition. Real-world praise. Similarly, there was no “recording artist”, “number one hit record”, “gap in the market”, and so on. The only thing resembling that was Louis’s “you actually looked like an amazing new girl band, and we need a new girl band”, which was somewhat undercut by (a) it’s Louis, (b) the note of surprise, and (c) we obviously don’t need a new girl band. But this is a subtle area with lots of room for interpretation and disagreement. What makes your ears prick up in judges’ praise? Let us know your thoughts in the comments. On our first watch of 5AM’s VT, the alarm bells rang when Kieran said: “It’s all about song choice. If you don’t deliver, you could be going home. Simple as.” We thought that framed their quest for the right song as clutching for their one shot at survival, rather than just trying to be the best they could. Admittedly, it’s a line that could easily be missed – unlike when Ryan had a similar VT storyline in week 3, when his previous bottom three appearance provided obvious context. We also raised our eyebrows at the inclusion of the line “I like the song, I just don’t like the song with us singing it” – the suggestion being that they’re capable of taking good songs and making them bad. It’s the opposite of the “you could sing the phone book” line which has been used as praise on this show. If we were intending a VT to be helpful, we’d have had them say something like “yeah, that’s pretty good, guys, but I think we can do even better”. Still, we can certainly understand how many commenters – as exemplified by Stu’s comment, above – interpreted it as helpfully intended. The high praise from the judges retrospectively cast that light on it; if they’d called out the vocals as being bad, it would have cast the VT in a different light. Many in the comments also shared our sense that the vocal performance would have merited some judge criticism, rather than the four-judge ovation and gushing. Which brings us to a highly speculative thought: this was the third week of app voting during the show, so producers may have a good idea of the extent to which the voting during a performance predicts the Sunday evening total. VTs, staging and arrangements obviously can’t be changed on the fly, but is it possible that they might be able to decide whether comments to later acts should be positive or negative depending on how the vote is going so far? Or would that be too much of a logistical nightmare? As ever, do let us know your thoughts on these and other pressing concerns below. In terms of praise and judges comments in general I feel that Simons comments are worth more than the other 3 judges put together. If Louis, Sharron and Nicole praise you and Simon is critical what is the overall effect? Its a big negative. And its a tactic that has been used to good effect to get both Gifty and Sam into the bottom 3 for the first time the last two weeks. Three sets of non-motivational praise from the other judges and then Simon, their own mentor who should be singing their praises, has had nothing to say on the performance, instead conveniently getting drawn into distracting arguements about the song choices and in the case of poor Gifty, comedy teeth. I thought Professor Green said that she was taking the mickey out of rap not that it was offensive/racist. He is after all a white rapping artist. I think there is a difference to his criticism the emphasis being a joke act not a serious artist, which the show is trying to convince the audience she is a real. Thank you for quoting me! Just to be clear I didn’t personally find Saara’s getup offensive, just strange and as you say the specificity of it, given the timing and Honey G headlines made me think of ulterior motives! I’m expecting knives out for Sam this week. Having said that, let’s not get caught up in reading what Dermot wants us to out of those statements. There was 1% between first, second and third, and between the bottom 4, I’m sure that’s a fact. But there’s nothing to say the vote wasn’t very nearly split 8 ways. 13%, 13%, 13%, 12%, 11% × 4 with various decimal places after each one would still be a valid reading of that result, in a week where Matt was deramped, Ryan boosted, and everyone else kept firmly in their niche lane. I still don’t take 5AM’s VT as negative. We have to be careful not to over analyse and strip everything down frame by frame, word by word. What is the overall message(s) they are trying to get across? We know that emphasis on how a song is chosen can be used positively and negatively. I think you have to put things into the overall context from VT, song choice, performance, judges comments, running order and pre and post performance introductions and references. Most times we can see a concerted effort to dampen the vote or motivate a vote. We can sometimes spot a running “theme” through a series of VTs which helps us to assess if the contestant has long term producer favour or is building up for a kill. We have had two VTs of 5AM about their preparation, week 3 which was intended to be negative and I think week 5 was intended to be positive in this context, everything was about choosing that Spice Girl song making it an act of genius, which came from the group. I agree aspects of that VT could have been perceived as negative but maybe only if the overall context was intended to be negative. This week will be interesting, will their VT continue that theme or be a completely different aspect for a short term focus for the week? If VTs are building on positive themes we are more likely to have confidence in the contestant’s longer term prospects and how the voting is going. Looking back at past results I’m reminded how they seemed to be able to control Rough Copy’s vote almost at will. There were huge swings in their vote – starting at 18% week 1, dropping all the way back to just 6%, and then back up to 20% and then way back down the week they went out. As with 5AM the vocals were always pretty ropey. The vote seemed to be controlled through a combination of song choice, performance routine and comments which didn’t always seem to match the level of the performance. I wonder if the same thing is happening with 5AM. Brilliant post Woofie. Nicole praised their “credibility” – to me the VT scenes of struggling to find the right song played into this narrative. They took a risk with a Spice Girls track and it paid off. Along with the pimp slot and a unanimous standing ovation, their treatment this week was nothing but positive. And on that note, I told everyone I was worried the UK would vote for Brexit, and I was told not to be silly. Then I told them that I feared Trump would happen, and everybody said it would never go that way. I still think this is going to be Matt’s year, but let’s just say I would not be surprised if it turned out to be Honey G after all. Sofabet editorial meeting: “We should get this up on Tuesday, before Trump is yesterday’s news”. Mmm after today the XFactor producers need to be very cautious when the people have the chance to cause a major upset to the “established order” be prepared for them to exercise that right especially when you take it for granted that they will vote and do the “right thing”…. At least Honey G does actually represent a change from the status quo. I dont see that Trump does. We have had leicester thats it now. “Durham woman loses £183,200 after betting on Hillary Clinton. If you’re waking up to the news that Donald Trump will become the 45th US president after a stunning victory over Democrat Hillary Clinton, spare a thought for a woman from Durham. She bet £183,200 on Ms Clinton to win in a two-part wager, William Hill said.” Source BBC News. Don’t believe it.i couldn’t get £20 on the 3.15 cheltenham with william hill today.And as for x factor i was lucky to get fiver on emily. 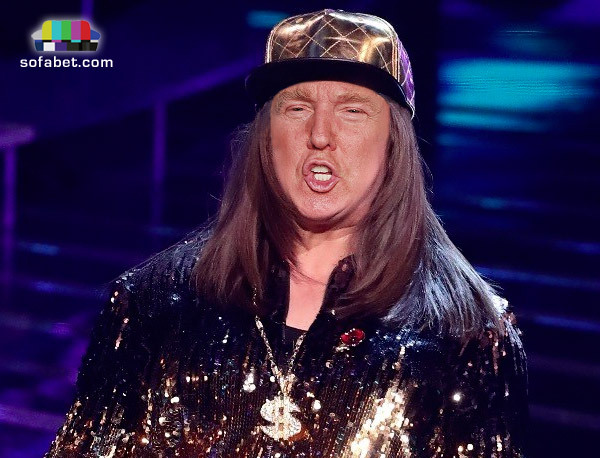 Given Brexit and Donald Trump, Honey G as a sneak winner feels just about right. TPTB keep pimping her, thinking they can rein her in, but she explodes and they can’t stop her. Feels like a very 2016 theme to me. They certainly weren’t very helpful to 4oD, but I’d say they did a bit more to Saara, Sam, and Ryan this week, and the Matt deramp should have made some floating votes available. I think they wouldn’t have had a huge problem keeping 4oD around for a few more weeks if they had escaped the B3, but they didn’t. Obviously the treatment was leagues away from the standing ovations of Honey or 5AM, but that is to be expected. I’d like to think they are still open to running with any at least vaguely commercial acts that dramatically overperform their treatment. I’ve been thinking about the similarities between 5AM and Fleur East. Both black/mixed race acts who perform a mix of R&B and Pop. Both are considered to not have the strongest vocal in their respective years, yet both can dance well to compensate. Both sang Thriller in week 4 for Halloween in the 3rd performing slot. Both closed the show either 1 or 2 weeks later. For what it’s worth, Fleur polled 6th out of 11 for Thriller and her pimp slot performance of Bang Bang (which was similarly hyped up yet not everyone was convinced by the praise) saw her poll 2nd (only 2.4% behind 1st and 0.8% ahead of 3rd in an eight-way vote). Fleur was consistently around the 5-6th position before her pimp week. The difference is that Fleur was Plan A by that point whereas the producers’ intentions for the boys aren’t crystal clear. They received criticism from Simon in week 3, but then Fleur received (albeit far less harsh) criticism too from Mel in her early weeks. Probably pointless info but I found the comparisons interesting nonetheless. I said earlier that Google Trends should be used only for fun. Then I got hooked myself for a couple of days, it IS fun. And now I think it’s scary, too, since I’d say that by using Google Trends alone you should have seen that there was a clear change 3 three days before the US election, Trump got last minute extra buzz going on, Clinton did not. At least I could see it. 4) Nobody. There are no others. Google, Youtube, Digital Spy and so on seem to agree that if it was a fair game and if anybody could vote, the first price would be in Saara’s pocket. If not in Honey G’s, assuming that her attention would transfer into votes with high percentage. Honey G dominates overwhelmingly. She and Matt have been going downwards, but they now managed to stop their slide to the level of week 4. Emily and Saara have been going upwards, reaching Matt, but the geisha show damaged Saara on week 5 and Emily is slowing too. 5 AM and Sam are close to each other, no development there. The pimp slot performance only kept interest towards 5 AM at the same level as before. Ryan has been the last of this bunch from the beginning of the lives. By using Google Trends alone I’d be tempted to say that 5 AM, Sam and Ryan are lost causes, but of course the producers can do a lot to change things (such as brutally murder the more viable acts). Whatever is going on with Honey G’s vote, I’d say the producers are happy with it at the moment. She has been given nothing but favourable treatment. I doubt she’s doing much different from previous novelty acts. I still think the most likely exit for her is leaving around 6th/7th place before we get to the semi-final. I can see her getting a bit higher I suppose as it is a weak year, but I reckon they’ll be able to get rid of her or make sure she’s no threat to the winner if they wish. If anything, all the favourable treatment suggests she isn’t running away with the vote. The thing about these sort of asinine “protest votes”, is that even if the consequences aren’t as big, The X Factor is actually asking a bit more of a commitment than with elections or referendums. On those people only have to vote once on one day, with something like The X Factor if people want to do that they have to vote multiple times every week. That’s a lot to ask to vote for an act which apparently they don’t really like. I agree. I’m sure it has crossed their mind of the “risk” of a protest vote if Honey G made the final. But as most contributors have said the risk is small to moderate but still their is a risk and as the introduction of free app voting on multiple devices that risk has increased but I’m sure they will be confident they can minimise it. I think it would not take too much of an effort to start a campaign if the press gave it some momentum. Note Gaz Shore is quoted as saying vote Honey G to piss people off. The same protest vote that saw Reggie n Bollie finish 15% behind Louisa? The show will get the result it wants. They got protest votes? On what planet? Just as a general point re: Reggie ‘n’ Bollie, I’m not sure why they always seem to get lumped in with the likes of Jedward and Wagner, or indeed Honey G. I never saw Reggie ‘n’ Bollie as a “joke act”. I get that the show staged them that way sometimes and that they weren’t exactly the best vocalists in the world, but they were fun, uptempo and entertaining, and there are a lot of pop acts that are like that, so I don’t see why that has to be dismissed as a joke act. It’s one of the many things that irritates me about The X Factor really. 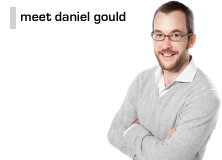 It has a very narrow, very limited idea of what’s good. But I do think if an act gets a lot of votes, it’s because people out there geniunely like them or the performance. I don’t think there are actually that many people who vote for ‘ironic’ reasons, free votes or not. Normally that’s the criteria for a joke act on XF, so I’d say that’s why. That’s the thing that’s irritating about that though, there’s a fair number of popstars that they have as guest performers that fit that criteria. Olly Murs is one of the shows biggest successes and he can’t sing very well. Eh. Back to this year’s series. I still think it’s going to be Matt. I can see him possibly not being as much of a landslide voting winner as previous years, but I can’t see any of the others taking it. Sorry to double post, but just to add to my point that I think people are more likely to vote for something they genuinely like rather than to make a point/to keep the comedy contestant in/for “guilty pleasures”, Johnny Robinson in series 8 came 2nd the week when he was taken slightly seriously and performed ‘I Believe In A Thing Called Love’, and similarly Stevi Ritchie in series 11 came 3rd the week he was taken slightly seriously and performed ‘The Music Of The Night’. Saara is doing No More Tears (Sam Bailey sang this one). Sam is doing I Will Survive. ‘Tragedy’ would be delicious. In reality, it’s bound to be some unknown singing ‘Night Fever’ on backing track while she (c)raps over the top of it. Of course the rap will be treated as if it’s a Honey G original that she wrote and made up completely herself, and the judges will be all over the sheer creativity of it. Sam said something that she is going to show this week how young and funny and wacky she is. Abi Alton’s version was definitely not funny and wacky, and she has no voice to do anything that resembles the original (and it is not funny either). So maybe a Glee or Pussycat Dolls type of show with lots of dancers and backing vocals and mixing with a more recent song? I actually guessed right what would be Saara’s song based on what she was telling about it: something she had never heard before (not known in Finland) and something that allows her to show her both sides (vocals & show). Sam Bailey and Ruth Lorenzo have done it before, and both survived, but do XF people have some kind of special relationship with Sam Bailey so that her version is “the only right one”? Is three years enough? No More Tears seems like a very good choice for Saara – it was used very positively for Sam Bailey in the pimp slot I recall, and would definitely suit Saara very well. Sam on the other hand could be in trouble. Even before thinking how it will work (or indeed won’t work) musically and vocally, how about the lyrics. I feel like her bold declarations of “I Will Survive” (assuming it’s more like the original than Abi Alton) may sound a little bit desperate! I agree that ‘No More Tears’ might be good for Saara. There could well be a lot of crossover with Saara fans and fans of Ruth Lorenzo and Sam Bailey. I mean, I’m mainly judging that on the fact I really liked all three of them, but it should be a song that Saara will perform well. On the other hand, I am not at all a fan of Sam Lavery, but I felt sorry for her when I saw that song choice! It’s just going to make everything about her performance this week to be about her being in the bottom 3 last week. It’s like when they had Mason Noise perform ‘Sorry’, it’s not moving on from it, it’s still going on about it. And thinking that Sam will not survive. Of course you never know if they have found a wacky version that suits her voice and other abilities, or are willing to save her anyway. 1. Ratings are terrible. It takes less to mount a “protest”. Honey G’s “blackface publicity” looks bigger now than it would had she been a joke act in 2010. 2. She’s not your usual joke act; you can’t make her sing a lazy ballad without it looking more facetious than the current state of the show. If she sinks, she sinks doing her thing. 3. This year has weak talent. Her old-white-women-who-don’t-care-about-hip-hop-friendly brand of bad hip-hop could be milked for the show’s sake. Even then, this still need TPTB becoming a wee bit too arrogant and allowing her to shine when she’s knocking on the doors of their favoured acts. IF THIS HAPPENS, we could see a sucker punch worthy of a Brexit. What about https://youtu.be/qIRZzzurNjg. For honey g if she’s doing bee gees. There’s just been a segment on My local news showing Ryan singing in rehearsals ‘play that funky music’… so that may be his choice. Re: Honey G- isn’t there a mid nineties version of staying alive with rap? Think this is it. Not exactly excited about this weekend’s show, but just wanted to add that I am not automatically positive about Saara’s song. Sure, out of that lot she is probably the only one that could tackle Barbra, and I am sure she will do a creditable job. But the fact that she doesn’t know the song (how many of the audience will also not know it ? ), and that the main chorus just keeps going ‘enough is enough is enough’ (subliminal or what ?) is a bit of a worry. And there is the staging issue. After Simon’s critique last weekend, they will have to thread a fine line: continue to throw the kitchen sink at the production, and she will get slated, even if she’s got no influence over it. Strip it all bare and do a classy simple song, and she could lose the kookyness that people may like about her – not having much confidence that they will find the right balance, tbh. Going by the pattern of the last few weeks, whoever has a suspect song choice will probably get the pimp slot – I’m half banking on Sam to maximise a potentially wanted bounce while the other half of me thinks Honey G – if she was in the top 3 of the vote last week, I wonder if producers are tempted to see if she can top the vote this week with an almighty pimping. Urgh I hate disco week, what an uninspired set of song choices. Hard to get excited about any of them, really. We’ve seen that staging, VTs and comments are typically more important than judging on song choice alone and most of those choices have been done before to varying amounts of success. The one thing I’ll be watching for is the running order – it has largely remained similar throughout the live shows, with Matt/Sam on relatively early, Emily/Saara on nearing the end. I’ve never known a series with such little movement before. Wishing on a Star has been used only twice, both times with a B2 appearance as a result. It is so boring. It seems to me that they want that Emily & Ryan sing-off this week. But do they succeed? Ryan’s song would be all right for anyone who can sing and perform at all. And Emily seems to get votes no matter how boring she is. Immediately 5AM’s song is the only one I don’t know. Worrying? Or is my disco knowledge just not up to much? I’d say Disco knowledge not up much. 😀 It’s a big Disco number; it was also sung in Happy Feet so will be known to a younger audience. I’d post a clip but I’m on my phone. I’m more concerned for Emily with Wishing on a Star – from memory it’s got a That’s Life trajectory for landing acts in the bottom two. Austin Drage landed up there after singing it despite being an early favourite in series 5 and Tamera Foster’s first sing off appearance was a result of performing it too. Enough is Enough – don’t even bother with subliminals! Worked fine for Sam Bailey, though; got her 31.1% of the vote albeit from the Pimp Slot. Of course anything can be twisted either way to suit production’s aims. Emily’s choice not exactly disco – right era. What a yawn fest. Exactly what TPTB need to deramp. Will it actually be possible for Emily to do a slowed down version of ‘III’mmm WWWiiisshhhiiinnnggg ooonnn aaa SSStttaaarrr’. Never stopped any of the John Lewis advert versions. Plenty of the John Lewis songs were slow in their original form. (‘Your Song’, ‘Somewhere Only We Know’ etc). ‘Wishing On A Star’ does seem to be a bit of a cursed song though, just like ‘That’s Life’. But I think Emily doing ‘Wishing On A Star’ probably won’t come over as badly as her doing a John Lewis version of an uptempo disco track. She might sing it like the original. It suits her voice. Yeah, and if so, I think she might do a good job of it! But then again, I say that as someone who likes Emily and most of her performances. It depends how much support she has out there, though she’s obviously got enough to have not been in the bottom 3 during the first half of the live shows, along with Matt, 5AM and Honey G.
Sam’s choice is interesting. It’s the best known song of the night but she’ll be outsung by Saara. They haven’t mentioned the Hush (PCD) / I Will Survive mashup so she’s not going to get any help from that. It will leave any flaws in her vocals exposed and everyone knows it by heart so it’s a dangerous choice imo. Play That Funky Music for Ryan looks like a killer. I can’t imagine how it will be staged but there are loads of ways they can do him over, from colour vomit and confusion to leaving him out there alone with two disinterested dancers facing the other way. He showed some performance skills that Matt ought to be jealous of last week but you can be sure Sharon will hit him again on lack of enthusiasm. I hope he goes out, tears it up and really enjoys himself. It’s a great groove after all. B3 prediction – Not as easy as it might first appear. Ryan and Sam look likely and I can understand why some might plump for Emily as b3 but I can see difficulties for 5AM in there too. They’ll probably have a sharp dance routine and excessive praise from the judges. I wonder if it will be enough. Saara is possible too, depending on staging and Strictly overlap. Elimination prediction – Tricky – I’ll come back to you on that – could be the last shock (good odds) elimination of the season, which would be a nice bonus for those who missed out on Gifty. If I was to say who has the best song choices before seeing performances and running order I’d say Honey G and Saara. Best of my love seems really boring for Matt. Same with Wishing on a star for Emily. Very difficult week to predict bottom 3. Could make a case for almost all of them. Would have to go with Ryan Sam and Saara for now. Is this the week to finally revert back to B2. I know I’ve been saying this for weeks, but if you say it enough I’ll be right eventually. It makes sense if we assume Ryan is the target. Honey G admits she still takes drugs. Has Cowell turned on her or has she gone AWOL? Not so children friendly now. It’s interesting that they concentrate on the drugs rather than her being kidnapped and sexually assaulted. This is the backstory we’ve been waiting for. They play this right and they catapult her to the win. I read it the same as Phil here. They’ve got to play it very carefully and plan well with Honey. I quite like the all strong happy woman laughing off insults and abuse. She will lose that if all her angst is brought up. But then they would gain from widening her personality if they show that she’s been through hard times. So swings and roundabouts. They’ve also got ammunition in the lover of rap music unfairly being accused of racism angle. I don’t know what to make of it. The story is very much at odds with the image they portrayed last week of her appeal to young children and grannies. It will be interesting to see the focus of her VT this week and wether or not it works with the story, if so they may have approved the interview and its timing. It could all be set up to present her as fighting, real and strong against her “haters” and distractors, “Stayin’ Alive”…. I think she’s still golden girl and Cowell won’t have known about or liked this article. Now he’ll have to work to iron out the issue of her baggage that she wants to talk about. I think he’d rather she was the always smiling etc. But I’m not at all sure about all that. Usual form in stories like these is that someone will have gone to the Sun to sell the story. The Sun will have gone to X Factor and offered them the chance to tell the story on their own terms or they’ll run the story on the terms of the “source”. So they’ll have cooperated to get the story out with some control over what is said. Not ideal, mostly damage limitation, but won’t do her any favours with the show or public. Definitely unhelpful. Industry is rife with drugs like UK in general but you only admit to it if you have to. For me the lifeline vote makes the Sunday show more worthwhile and they shouldn’t ditch it until the quarter finals, when the number saved would be less than number in the bottom three. But protecting the chosen ones has been more important than putting on a good show for a while – hence the ratings have been in decline. So the lifeline vote is reportedly axed (according to Tellymix). I wonder if the producers will engineer and Sam/Ryan bottom two in order for Ryan to go home. Saving Saara over Ryan might be a tad tedious since it would be her 4th sing-off if she lands there. I think that’s a slight exaggeration Stoney. Leon had no identity or charisma. Honey at least has a following and would score a top 10 if SYCO got behind her. But I agree that she would represent a poor commercial option over Emily or Matt. I personally don’t see Honey as a winner, but have her comfortably making the final, so her price could go lower, especially if there’s a vote leak story to come. Given the %ages announced during last week’s show, I wouldn’t be ‘all in’ on Matt. Considering the deramp he suffered and the fact he still polled at the top i think if the brakes are taken off and he’s let go he will win easily. All ifs and buts of course. But tonight will be business as usual after last weeks close contest im sure. I’m inclined to agree Stoney. She appears to want to be taken seriously while the audience see her as a novelty or an act for children. I can’t see what her market is. She’d have to become someone completely different to make it as a serious act imo. Kriss Kross and Vanilla Ice aren’t doing her any long term favours. Having said that I don’t think tonight will be a decapitation. Imo it will be another big production. It’s disco night. This is the sort of thing she’s perfect for. There are hundreds of talented rappers out there who cant get a break. I feel really bad for them when this thing is getting a platform on national tv to spout her nonsense. There is nothing talented in it whatsoever. So are you opposing her making the final? Dont you think last week cemented her place in the top 3 and may have even pushed her higher? I noticed a decent shift in favourability ratings compared to previous weeks. If Honey works on any level it’s just as a filler on XF. It’s a break between the supposedly serious acts, to gee up the studio audience with a big entertaining production. It’s the same as R&B, Stevie, Wagner. Except with Honey it only works for one song because that’s all she’s got. Take her out of XF and she’s got nothing. There’s absolutely no substance to her, no talent, no charisma, no personality. Nothing. Who said Matt Terry polled top last week?! Huge assumption there, could easily have polled third. Agree might be the start of the deramp for Honey G if her vote got a bit out of hand last week. Undoubtedly very negative and I’m surprised to see her price hold up so well. At worst he polled, what 2% off the top? Which is impressive when you consider what he was given in terms of show position, song choice, comments and staging. A bit like Louisa last year, who is going to beat him? Emily? With “Wishing On A Star” this week they’ve pushed her firmly into the wistful chanteuse lane and it’s going to be nigh on impossible to get her out of that. While a lot of people enjoy that sort of thing in moderation it’s not going to win a popularity contest like X Factor. 5AM? Fun to look at. Vocally challenged. Not much traction anywhere as far as I can see. Could well be in fourth place after Honey G at the moment. Honey G? A novelty act doing 20 year old one-hit wonders and joke songs. They haven’t let her anywhere near anything serious, even popular raps. She could have at least done The Message or Gangsta’s Paradise. There’s plenty of stuff by Missy Elliott or Miss Dynamite she could have looked at if they’d wanted a serious rap act winner. It would damage the credibility of the show if she was to win. I can’t see them letting that happen. Saara? She can sing and perform the pants off everyone else left in the competition but I don’t think they’ll let her win. It’s a shame imo. I agree with Jessica here about Honey G. I just can’t see them letting her go to the final due to the potential damage it could do to the brand – if there is now any brand worth saving, of course. Simon doesn’t actually mean it when he gives her a standing ovation and praises her to the heavens – it’s just to keep her in for the column inches and the fun of the show. I’m aware we’ve had a bit of comparison with R&B last year and yes, indeed, they couldn’t sing, but I never saw them as a full-on novelty act; from the early auditions, they had a joie de vivre and a certain cool attitude that I think could appeal outside of the novelty act audience. The X Factor stripped away quite a bit of their cool in selling them to the younger audience and having them do large, naff productions, but I see no cool at all in Honey G and never have. She wasn’t intended to be in the show, she’s gone further than most people thought she would, but surely now the brakes have to go on to aim for damage limitation? So my money is on 5AM for third place, at the least, as I think that, along with the two frontrunners, you could make a case for them being marketable and selling records. But I’m waiting to see how things turn out tonight – how quickly our assumptions can be turned on their heads! I agree Rose seeing the song list things could go either way for some of them tonight. I think the voting performance last week could be very telling for producer treatment this week, particularly as we start to move into the home straight. We are usually confident about who they want to get rid off but as you say our assumptions about the finalists can change so easily, even at the moment when the running order is announced at the start of the show tonight! I agree that the producers can be unpredictable and do seem to deliberately try to confound expectations. Having said that, I find it hard to believe that they will have decided to present Ryan or Sam as contenders in the last 7 days. I think Ryan is nailed on for b2 and the only way Sam escapes is if they want it to be someone else. I’m interested to see what they do with Emily this week. Honestly. She started the live shows looking like a serious contender, yet with the possible exception of ‘Creep’ they seem to have held her back every week. Why? She’s been kept firmly in a lane, but it’s not actually her lane. I can’t possibly imagine that anyone would think that what she’s done in the live shows would be more successful or marketable than what she was doing in the audition rounds. Two years ago at 6CC we saw that she was capable of doing more uptempo and performing. She’s done two years of gigging since – so surely she’s more capable now? Is it that they’re scared to let her off the leash in case she really challenges Matt? I think it’s pretty clear that to have any success Matt has to win and get out an album pretty quickly, otherwise he’ll just be forgotten about. There’s probably more to work on with Emily, and in that way second or third might work out better for her in the long run. But you still don’t want to be labeled as boring before you’ve even done anything.